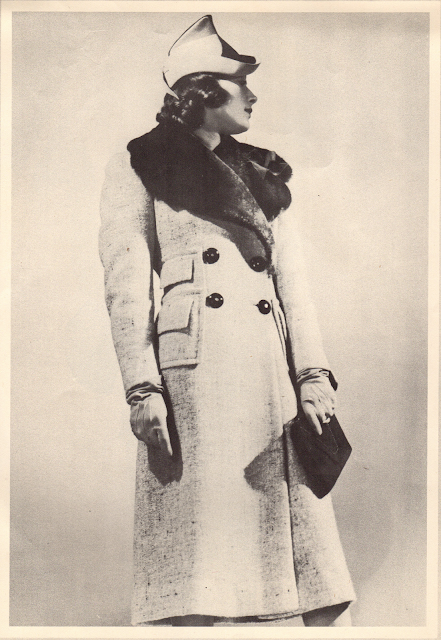 Double pockets with flaps that hug a snug waistline, a double-breasted closing, and a warm shawl collar topped with luxurious fur make this tweed coat from 1937 a beauty. That sculptured hat tops it off with panache! Such a fashionable way to stay warm during freezing winter days! Like this very much and the hat finishes it off beautifully.